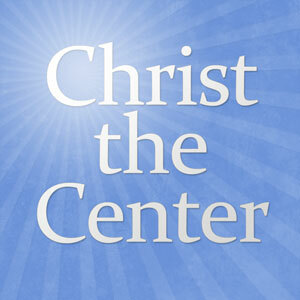 The Christ the Center panel discusses a forthcoming new podcast entitled East of Eden: Discussions in the Biblical and Systematic Theology of Jonathan Edwards, which should appear, Lord willing, this summer. The panel for this podcast will include Rev. Nick Batzig, Rev. David Filson, and Rev. Jeff Waddington, along with an occasional visit from Dr. Craig Biehl. The goal of this new venture is to delve into the sermons as well as the other parts of Edwards’ voluminous literary corpus. Specifically we seek to demonstrate the interrelated nature of Edwards’ biblical and systematic theology, his use of the Puritan plain style sermon form, his development of typology, and his practical application. The CTC panel briefly discusses Edwards’ Trinitarian theology to round out the discussion. I am listening to the first East of Eden podcast and enjoying it very much, but is there anywhere to find the “East of Eden” sermon online? I would love to read it, but cannot purchase a whole set of books for it. Having grown up next to Northampton, MA, I have always wanted to like Edwards. Unfortunately I think his focus on introspection obscures the objectivity of the gospel. Jordan, I agree that Edwards’ can be overly introspective at times. Jeff Waddington and I have talked about that very thing often. I know that people usually chalk it up the understanding his historical context (which I obviously think matters in our reading of his sermons and works), but I do think he is subject to criticism like the rest of us. That being said, I would encourage you to read sermons like, “The Excellency of Christ,” “The Agony of Christ,” and “East of Eden” to get a glimpse of Edwards enormous emphasis on redemption in Christ and the grace of God in the Gospel. Then I would encourage you to read ‘A History of the Work of Redemption (with a warning about Edwards’ eschatology). in addition to these, I would recommend getting a copy of his “Notes on Scriptures,” “The Miscellanies,” and “The Blank Bible.” There you will find theologically deep and rich expositions of Scripture. Don’t let some of the finer searching applications turn you off to Edwards. In fact, I think you will actually come to understand his applications better when you get something of the depth of his expositions of Scripture in the rest of his writings. Edwards could have been more consistently Christ-centered, but then again, he didn’t live at the zenith of the Biblical-theological movement–he was pioneering it in some respects on the shoulders of the Puritans. While that is an argument made by some, I would argue that a real understanding of Edwards will lead one to understand that his so-called introspection is not as subjective as one might be led to believe by those who assert this. The objectivity of the Gospel is also an issue that gets to what the Gospel really is. Some want to assert that the Gospel has a limited number of historical facts that one has to believe. On the other hand, the New Testament speaks of the Gospel as including what God does in the person. Edwards was my introduction into covenant theology before I knew what it was. His sermons have been hugely influential on me as a pastor and theologian. I’m so glad you’re doing this podcast. I pray others will be influenced as I was by the ministry of this wonderfully gifted and Christ-focused man. Very excited for the East of Eden podcast. Am I mixing things up or did I hear you say that Biehl’s study guide on Religious Affections is available somewhere online for free as a PDF? I greatly appreciate your ministry here and am looking forward to this new program. One thought though about what was said this episode. I certainly have my concerns with some of what Doug Wilson teaches but I’m afraid you may have misrepresented him here. Also, in the very interview discussed he says that the thing that he first liked about Edwards was his take on revival. He also says he wants to read all of his works. To teach that saving faith includes obedience, rather than saying it always produces obedience is a series and dangerous theological error. It might seem like this is hair splitting, but it is fundamental to biblical Christianity. “Faith,” according to the Westminster Divines, “is a receiving and resting on Christ alone for salvation as He is offered to us in the Gospel.” This means that faith is not some obedience we render, but a holding out empty hands and receiving Jesus Christ and all that is in Him. This is not to say that it is not obedient to believe, but Wilson seems to make faith and obedience one and the same. This is neonomianism at best and Shepherdism at worst. I once asked Doug if he had read Shepherd’s book “Call to Grace,” and if he differed with him at all. Wilson responded by telling me it had been a while, but that he didn’t know if he differed with what Shepherd says there at all. That’s a problem. Last week Doug wrote a blog post in which he commended Peter Leithart’s ecumenical post on Roman Catholicism in which Leithart’s argued for not being RC on the grounds that he was “not too anti-Catholic to be Catholic,” but that he was too “Catholic to be Catholic.” Wilson commended Leithart’s posts while raising some criticisms. Wilson’s criticisms were ambiguous statements about “truth” and “vicious idolatries over there.” Neither Leithart nor Wilson spoke of the chief reason Protestants are not RC–namely, justification by faith alone. That’s the heart of “protestant”ism. In addition, the Pope, Mariology, prayers to deceased saints, indulgences, a denial of sola Scriptura, sacramentalism, etc. are a few other reasons Protestants are not RC. Why wouldn’t any of those things come to the forefront in an affirmation of why we are not RC? My concerns with Wilson are obviously less than they are with Leithart et al, but I still have concerns that he is not straightforward in the important nuances of historic Reformed thought. He has, after all, written books claiming that the Reformed are not Reformed enough because they do not have a sacramentalism. Now, I am willing to say that Wilson has shifted because of his affiliations with Piper, but I would like to read clear and unambiguous statements on things he has criticized in favor of FV thought in the past. Thank you for your very helpful reply. You’ve really helped to clarify things for me. I know that Wilson has affirmed that he believes in the imputation of the active obedience of Christ, but I am not altogether satisfied that he does not hold to a future justification in which Spirit-wrought good works play into our final verdict (rather than merely as the necessary evidence of the justification we had in time, as Gaffin has so carefully articulated). Thanks for all your good work. I went over to the Yale site and printed out “East of Eden.” The BT / covenantal emphasis and typology was very interesting. I am looking forward to more from the Edward’s project. nick, could you clarify the statement made in the video about eschatology precedes soteriology in the creation narrative in genesis. not sure i am understanding the terms correctly and how they correlate to edward’s theology. how did edwards understand those terms? I am not sure that I made the statement about eschatology proceeding soteriology, but I certainly believe that the Bible teaches it! I will attempt to answer your questions however. Before the fall God set a goal before Adam. Everything was moving somewhere. There was a Sabbath day set before Adam. This symbolized a higher–and permanently secure state of blessedness for him. Adam was in a Covenant of Works (as the Westminster Standards teach) with God. Had Adam obeyed when he was tested he would have been confirmed in holiness and would have attained to that eschatological Sabbath for himself and his posterity. This all proceeds the need for salvation, which comes about after the fall. Yes, God again graciously gives an eschatological hope after the fall. Edwards teaches all this (without the “eschatology/soteriology” lingo). This is a very Vossian construct too, because he understood that the entirety of the Scriptures was eschatological. Human history was always moving towards a goal. Hope this explanation helps. A little late listening to this episode. I’m hugely interested in the “creation as a stage for redemption” idea. I hope very much to see that discussed on East of Eden! Is the East of Eden podcast up and running yet? Can’t find it anywhere! They have several episodes recorded, but we’re still waiting on a few small things (artwork, etc.) before we can publish the first episode. Great show guys, and I just used the send to kindle app on chrome to send the sermon to my kindle!! Love all your shows, they’ve been very helpful. A great lineup of guests and topics.